“I was delighted to read Dr. Soutar’s book as it provides an insight into aspects of neurofeedback that are unfortunately much neglected in the numerous books published so far. I speak with at least some authority as I have been deeply committed to the field of neurofeedback for the past 38 years, have trained thousands of health care professionals and patient/clients as well. Neurofeedback tends to be intimidating to most ordinary people. There are plenty of complex textbooks for professionals some of which I have contributed to. Even the books written for the general public are usually exceedingly complex and focused very narrowly on what some of us call the high frequency protocols. Dr. Soutar has striven to open up to the general public what some call the low frequency or “deep States – meditation/creativity” protocols. Adam Crane, BCIA EEG Fellow. Founder of The International MindFitness Foundation. The Automatic Self provides a theoretical scientific foundation for combining traditional methods of spiritual training with modern technological methods of neurofeedback and biofeedback. In order to accomplish this task, this book explores the reasons for our behavior from the perspective of the behavioral sciences and neuroscience combined. It sees the reason for much of our suffering grounded in the automatic mechanisms of the brain and how they dominate us until we mature enough as social organisms to become highly self-aware and learn to direct and control them through positive effort. 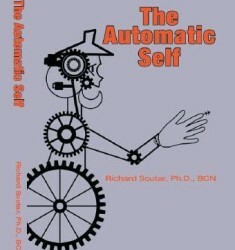 This book further offers to introduce the reader to the latest neuro-technologies that can help us transform ourselves. Through enhanced self-awareness training and the social accuracy that results from such training we can move into a life where we can successfully access the social resources we need to thrive as individuals and move beyond individual transformation and into the fulfillment of self-transcendence.